š Water flows from a higher point eventually creating a flat surface- the ship eventually disappears at the horizon because the earth is curved. š The sun rises in the east and sets in the west- the sun is stationary while the earth rotates. š All stars appear to us as pinpoints of light- the largest stars are actually 50,000 times more illuminating than our sun. š White light is colorless- a prism refracts light into all colors. š The divine force is separate from us- the divine force is everything. š The grave, church and pyramid are symbols of the mistaken location of a person after death- death severs the silver cord freeing the soul, leaving behind the physical total of what had been consumed. š Individual thoughts are secrets from others- all secret thoughts are an open book to the universe. š Birth progresses to death in one life- Lugdi Bai/Shanti Devi is the classic case of the continuation of life. 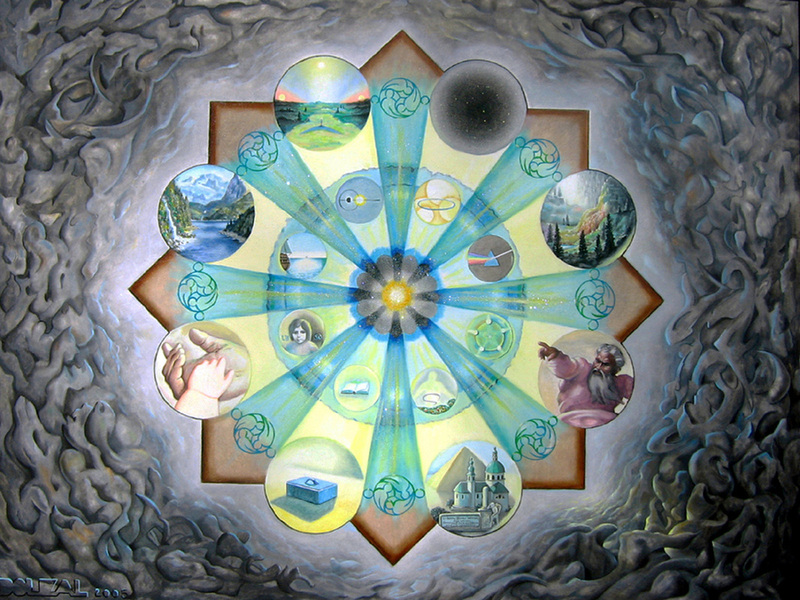 The realization of connectedness and oneness gravitates to the glorious awareness of immortality.